Part post-rock instrumental band, part symphony, and all heart, Moving Mountains (known affectionately as MovMou) is comprised of Gregory Dunn (guitar/vocals), Mitchell Lee (bass), Frank Graniero (guitar/vocals), and Nicholas Pizzolato (drums). Waves, the band’s third album, lives up to its name by displaying a rolling, crashing, and at times violently passionate sound. The album is satisfyingly well crafted with a balanced yet unexpected combination of epic buildups, progressions, beautiful, and haunting vocals, with just the right amount of inorganic production. Dunn explains in a press release that the band was formed at the time a close friend passed away and the experience of loss, reflection, and faith have subsequently influenced their albums thus far. The soaring expansiveness of Waves validates this by allowing the listener to connect with a primitive guitar-driven sadness that is at once bottomless, cooling melancholy and hot, roaring grief. The emotional lyrics are grippingly raw while staying relatable and digestible. We can all thank Pizzalato’s parents for putting up with the budding band’s practice sessions in their Purchase, NY basement in 2005; the result thus far is a group whose music and vocals show balance, intelligence, and most of all promise. 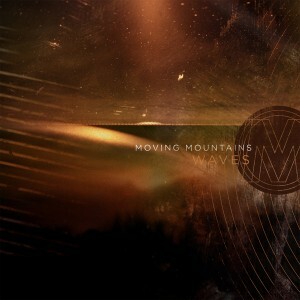 Waves was mixed by Matt Goldman, and mastered by longtime Moving Mountains collaborator Mike Kalajian.